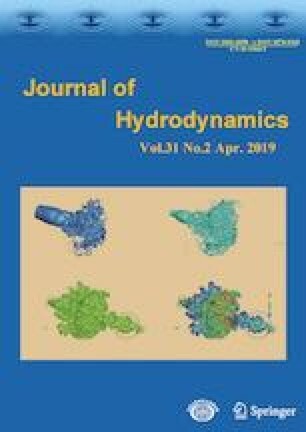 This paper presents a three-dimensional flow field simulation of the steady flows through diffusers and nozzles with straight or serrated-sided walls to analyze the effect of the channel structure on the flow characteristics. The pressure and velocity profiles in the diffusers and the nozzles as well as the net volumetric flow rate are determined. Our simulation demonstrates that the pressure and velocity profiles in the serrated diffuser/nozzles are more complicated than those with the straight-sided wall, while the net steady flow rate with the straight-sided wall increases monotonically with the increase of the pressure difference, the steady flow rate with serrated sided walls increases gradually to reach a maximum and then decreases with the increase of the pressure difference. The results suggest that the number of the sawteeth plays a significant role in optimizing the design of serrated diffusers and nozzles for improving the transport efficiency of valveless micro-pumps. Project supported by the National Natural Science Foundation of China (Grant Nos.61376115, 11672065).